Posted by Nick Prescott on 18 July, 2018. “Keep it boxed” is a mantra to live by if you want to protect valuable fixtures and fittings on a building site. One of my least enjoyable tasks in this business is opening packaging. I have this built-in sense that something will be wrong. 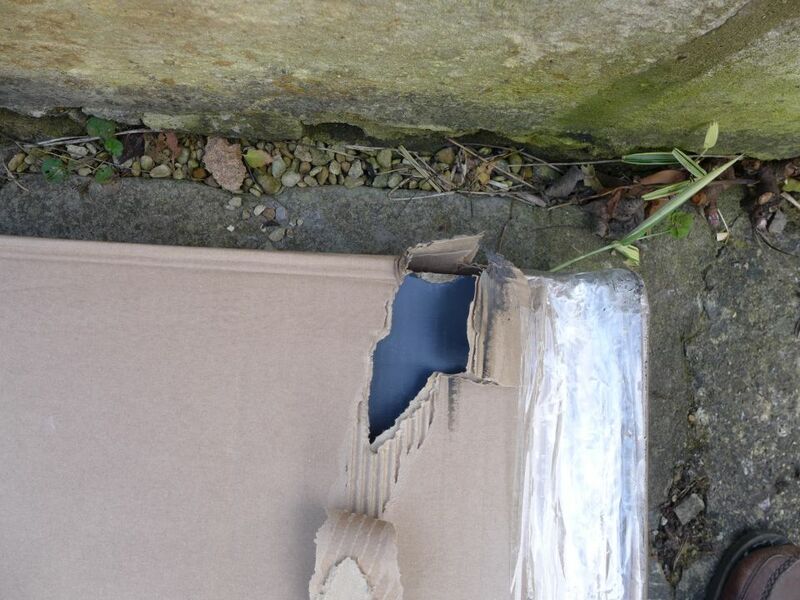 When the courier arrives, I always sign for an item “not yet inspected”. I usually spend half an hour or so carefully unpacking everything and checking for damage. A courier won’t wait, so you shouldn’t simply sign for an item; otherwise it may be construed that you are happy with it before you’ve had a chance to check it over. Even with those hard-to-write-on-with-a-finger electronic gadgets, I squeeze in the caveat before my signature. It’s born from experience of finding things damaged, missing, or just wrong. Our first bed, lovingly purchased for us by my mother-in-law, was all of these; the headboard was damaged, fixings were missing, and the side sections were from a different bed. A final comment on couriers. 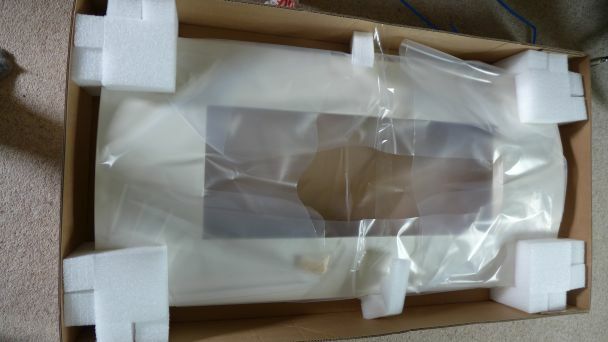 Top quality companies will use reputable couriers. But there are some private couriers who you would consider to be unlicensed; someone with a mate and a van that might be cheaper but are often trouble. You have very little control over this, but it may be worth asking your supplier who they use, and point out that you will be checking cloaely for damage. In my experience, it is worth spending a bit more to get a quality courier to give you peace of mind. Perhaps the most frustrating of the delivery sins is damage. If a supplier has taken the trouble to produce a perfect item, why risk it being damaged on the way to the customer – what a waste. Package design requires proper attention; it is integral to succesful storage and delivery and should not be an afterthought. 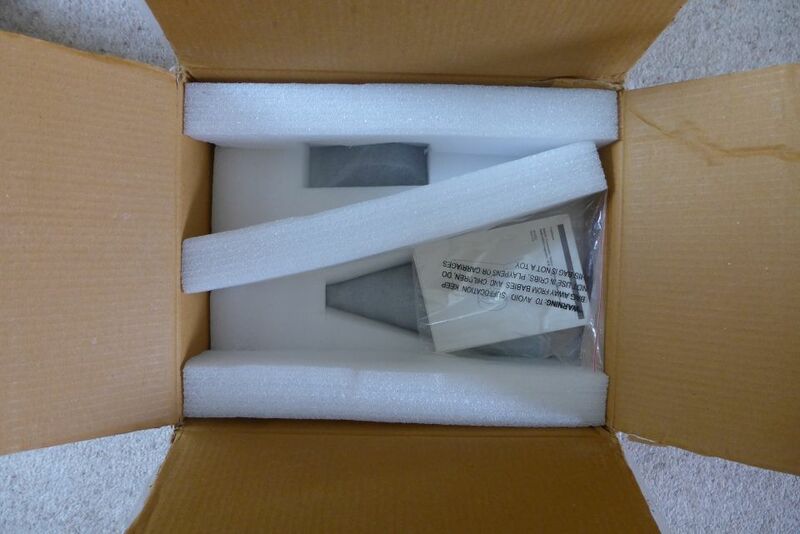 When an item arrives packaged as above, I have confidence that the item inside will be fine. 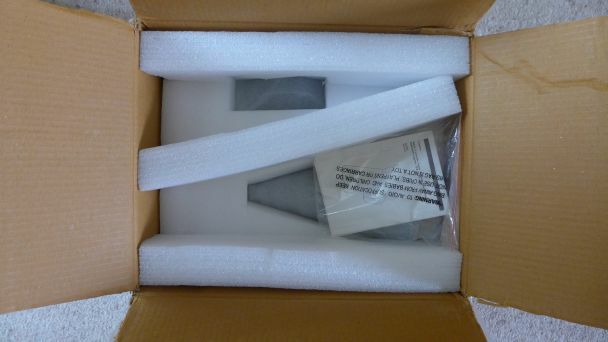 Packaging is indicative of the quality of the supplier and of the product. This company has taken care to deliver a perfect electric fire. 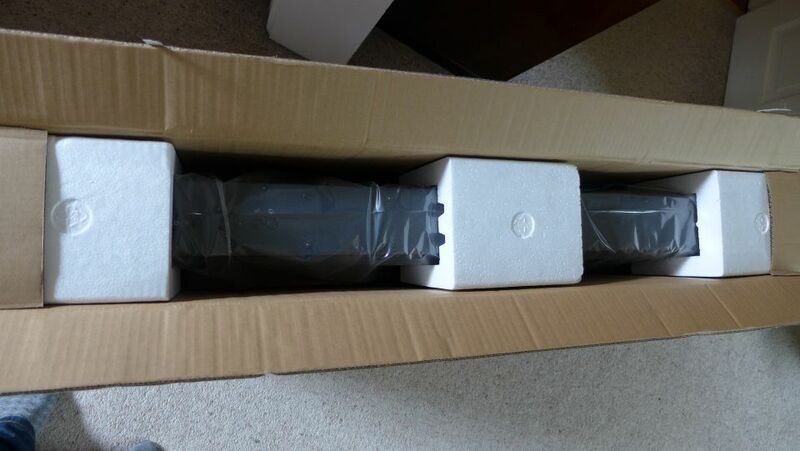 The polystyrene pieces are precisely designed to protect the ends and sides, and also to stop the item moving in transit. It also has dessicant packets for longer term storage. My only criticism of this is that they’ve not used environmentally friendly products, but that is changing. Compare this to the trepidation I faced when approaching this mess … Who on earth thought this was a good idea? Where is the protection for the most vulnerable parts – edges and corners. You can even see a corner poking out at the front. Suffice to say, this company spent a lot more time and money putting things right that could have been avoided with better attention to packaging. 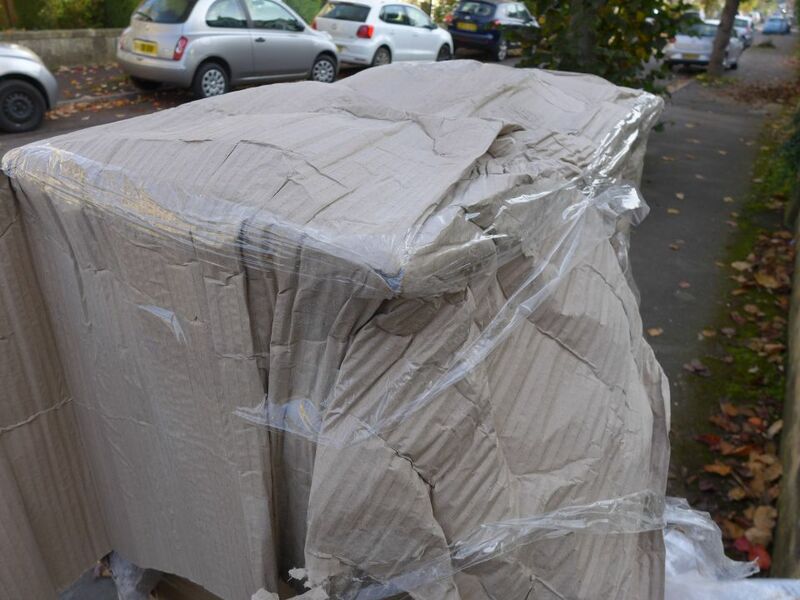 Having received an item and checked it over, the next stage of this painful task is re-packing it for transport to site. A few tips: 1. always take time to note how it came out of the box, so you can put it back again in exactly the same way – take photos if necessary; 2. have some wide parcel tape ready so secure the box; 3. only take it to site when absolutely necessary, to avoid any unnecessary risk of it being damaged in a place filled with dust, paint, contractors and tools. In any event, if the contractor needs to access the item for measurement or fitting, get them to re-box it and store it in a safe location.